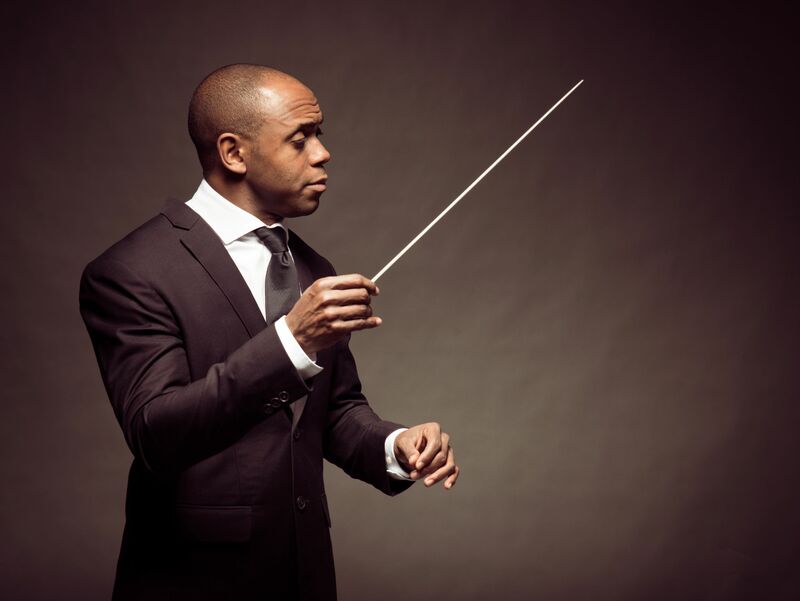 American conductor Kazem Abdullah currently lives in Nürnberg, Germany. He was Music and Artistic Director of the City of Aachen, Germany from 2012 to 2017. During his tenure, he succeeded in reaching newer and diverse audiences through innovative programming and moving out of the concert hall, and into atypical venues. In addition to exploring new venues to bring concerts to audiences and experimenting with juxtapositions of styles in non-traditional concert formats, he also performed over 25 operas and collaborated with musicians such as Johannes Moser, Lise de la Salle, Angela Gheorghiu, Augustin Haedelich, and Midori. A passionate advocate of new music as well as established repertoire, Mr. Abdullah continues to develop relationships with national and international orchestras and opera houses. Among his recent orchestral credits are the symphony orchestras of Oregon, Indianapolis, Detroit, Pittsburgh, and Cincinnati. In addition to his symphony engagements, he recently conducted an opera Gala for the Concertgebouw in Amsterdam, the American premiere of Charles Wuorinen’s opera Brokeback Mountain with the New York City Opera, and Donizetti’s Maria Stuarda for Cape Town Opera. Of special note are three acclaimed orchestral engagements: leading the Orquestra de São Paulo, one of Brazil’s most celebrated classical music ensembles, on its third United States coast-to-coast tour, conducting the New World Symphony’s 2009 Ives In-Context Festival by special invitation from Michael Tilson Thomas, and substituting on very short notice to conduct the Tanglewood Music Center Orchestra in performances of Purcell’s Dido and Aeneas in collaboration with the Mark Morris Dance Group. In the opera arena, Mr. Abdullah has guest conducted such esteemed companies as the Atlanta Opera, where he conducted Così fan tutte, and the Théâtre du Châtelet de Paris, where he led sold-out performances of Scott Joplin’s Treemonisha. Mr. Abdullah made his Metropolitan Opera debut in 2009 conducting Gluck’s Orfeo ed Euridice. Trained as a clarinetist, Kazem Abdullah has performed extensively as an orchestral musician, chamber musician, and soloist. He spent two seasons as a member of the New World Symphony and has performed as a soloist with many orchestras including the Cincinnati and National Symphony Orchestras. He has also performed with prominent chamber ensembles such as the Paris based Trio Wanderer and the Auryn Quartet. A dedicated educator, Mr. Abdullah has worked with student band and orchestras in the Los Angeles Unified School District, Interlochen, the Oklahoma Arts Institute, Tanglewood, and at universities in Cologne, Aachen, and Stellenbosch, South Africa. He was awarded the Outstanding Young Alumnus Award by his alma mater, CCM where he worked with the students there and spoke at their commencement in 2015. Born in Indiana, Mr. Abdullah began his music studies at the age of 10 with clarinet and piano. He studied at the Interlochen Arts Academy, Cincinnati Conservatory of Music, and the University of Southern California.